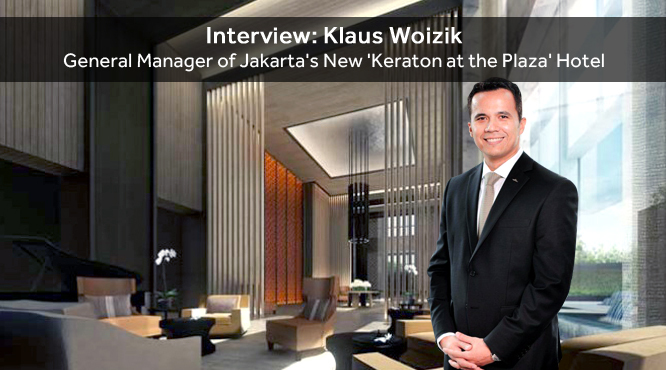 An interview with Klaus Woizik, general manager of the 'Keraton at the Plaza' luxury hotel. The bathrooms have custom-made tubs. General manager Klaus Woizik in the lobby of Keraton at the Plaza luxury hotel in Jakarta..
Klaus Woizik and the lobby of Keraton at the Plaza. 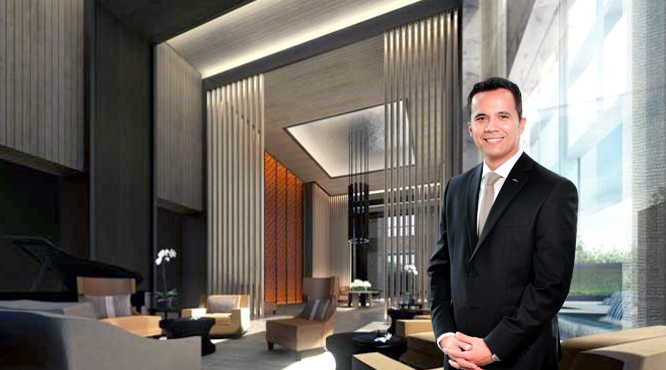 In Jakarta, DestinAsian recently toured the newly opened boutique luxury hotel Keraton at the Plaza with its general manager Klaus Woizik. The hotel is linked to the Plaza Indonesia shopping mall, becoming only the second hotel with such a link, after the well-established Grand Hyatt Jakarta, where Woizik once served as the resident manager. While giving us the tour, Woizik revealed some interesting tidbits about the hotel’s background and future plans. An entry-level Grand Deluxe Room. The hotel occupies the first 22 floors of a new 51-floor building. (The hotel entrance in the mall is near Kitchenette, one of the more popular restaurants.) Originally the property was meant to be a 60-room Park Hyatt, with the larger Grand Hyatt providing food-and-beverage and other services. Construction began in 2007, but when the building was completed in 2009, the global recession was in full swing. That combined with some other factors, including changes at Hyatt, led to the owners of Plaza Indonesia looking elsewhere for a partner, and in early 2011 they chose Starwood to run the hotel. These changes forced the property to become more of a stand-alone hotel, which meant some reworking of the original layout. Woizik and the designers had to find space for a new kitchen, restaurant, and pool, for instance, and Starwood wanted 140 rooms instead of the original 60. While these changes posed a challenge, in the end something better may have emerged. “It became a real hotel within this building,” notes Woizik. 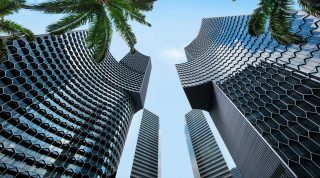 The hotel also became the first member of Starwood’s The Luxury Collection — a brand of high-end boutique properties — to launch in the Indonesian capital. As of this writing, the hotel is welcoming guests but is not completely finished. Still in the works are the spa and, on the top floor, the hotel’s four suites. By the end of June, says Woizik, these final offerings should be ready for their first guests. In a city notorious for traffic jams, how important is the direct link to Plaza Indonesia? It’s major. We’re blessed to have that. I’ve always said to myself location is not really that important because wherever you are in Jakarta, you’re stuck. But it does help if you are in a complex that has everything you need. Plaza Indonesia has the shopping, the food courts, the grocery stores, medical support, and all kind of salons. It has 80 different restaurants. You can literally live here without leaving the complex. 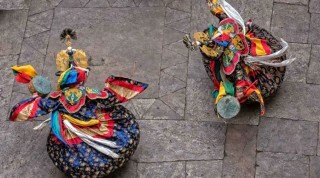 The main benefit of our hotel is that it’s very intimate and private, but should our guests choose to have a look around, they can do so without leaving the complex or getting stuck in traffic. It helps a lot. The design theme: modern with a touch of Indonesia. What does this hotel add to the existing hotel scene in Jakarta? We’ve really aimed to be the first boutique hotel, meaning that we don’t have any meeting space, we don’t have any grand ballrooms. The hotel is very quiet, it is not too busy, and it gives you this sense of privacy and intimacy. People have commented that they’ve been waiting for a property like this in Jakarta. 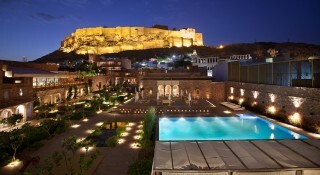 We asked a few guests where they normally stay and they said the Aman hotels and Park Hyatts. We’re honored they put us in that league. Give us some examples of the work that went on before launch. We spent a lot of time on the lighting. We sat and looked at each light. Is it too bright? Is it too low? Is it worth having? The lighting consultant would adjust every single light, millimeter by millimeter. It took a whole week just to get the lobby done. At night the hotel changes completely. The restaurant becomes very elegant because of the lighting. We have LEDs in the plants, in the water. At night the pool is beautiful to look at because you have these LEDs on the floor and there’s no down light. The chandelier in the lobby is made with rock crystal. It’s 2.5 tons. 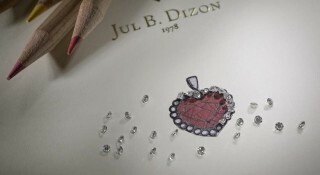 Every piece of rock crystal was hand-tied. For two weeks people were here putting it together. What kind of room sizes are available? They start at 61 square meters and go all the way up to 75. The suites will be 140 square meters. What’s unique is the ceiling height of four meters, which gives you this kind of added dimension. What kind of cuisine is served in the restaurant, Bengawan? The cuisine is Indonesian food at its most authentic. That’s our aim. I’m proud to say our chef is from Jakarta. For me it was a no-brainer that to cook good Indonesian food, it has to be cooked by an Indonesian. It’s as simple as that. Of course because we’re a Luxury Collection hotel, we’ll have other dishes as well. What is the design theme of the hotel? Modern and contemporary with a touch of Indonesia. Different designers worked on different parts of the hotel. Is that a problem? I think it makes it interesting. Coming to the lobby gives you one feel, with the steel beams, grey marble, the clean-cut lines. Going to the restaurant gives you another: People like to sit there longer. They say it’s very calming, relaxing. And the bedroom is something completely different. You have different levels of experience and emotion. It’s unique. What is checking in like at this hotel? We check in differently. If you as a guest were coming in, we would meet you in the lobby but then take you straight up. We do in-room check-in for every guest. And while that happens we get to introduce you to your butler, and from then on your butler is your guide and point of contact. Each guest will have their designated butler. What kind of tours or excursions can the butlers arrange for the guests? Anything. It’s tailor-made. If they want to go up to Puncak, we’ll drive them up to Puncak. 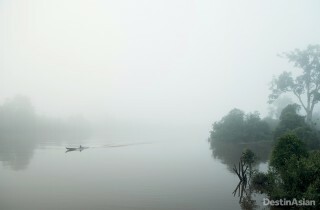 What are your thoughts on Jakarta as a destination? I think Jakarta has everything. You just need to know where to get it. If you have the right guide, it’s simple. Kota the old town is beautiful. More and more free-standing bars are really unbelievable. And yes, shopping is here, but it’s not everything. What’s required to get online in this hotel? Internet throughout the building is free. The minute you walk in you’re online. There’s no log-in page, there’s no code, no password. It’s just free to use, and 20 Mbps. We tried to make it as simple as possible. In the rooms you have both a 42-inch screen in front of the bed and a smaller screen at the desk. Why the latter? On the desk we have a small LCD with access to all 75 channels. While doing work at the desk, should you wish to quickly check the news or watch TV, it’s right there. Or should you wish to connect your iPad or iPhone or whatever to the TV, it serves as a PC screen. It’s connected as well to the Bose sound system. What will the suites be like? When we were asked if we’d like to have a Presidential Suite, we decided not to. Every hotel in Jakarta has a Presidential Suite. Most of them are used for private dinners, private functions, or sometimes heads of state, and sometimes people use them as bedrooms. We felt that if the market already has so many, why add to that? So we took the top floor, which is a thousand square meters, and we cut it into four suites. But then we can also interconnect the suites, so should anybody decide to have the whole floor, or half of the floor, that can be done. What are the plans for the spa? The treatments will be full of Indonesian goodies. We’re still writing the menu, so I can’t give anything away yet. Our spa manager is still very heavily involved in the training and hand-picking the right therapists. The space alone is about a thousand square meters. 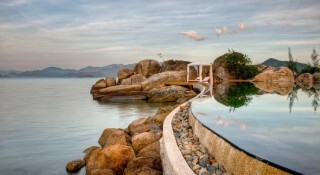 It has plunge pools and seven treatment rooms. We can’t wait for it to open. It’s going to be quite unique.